What can you make out of boredom? 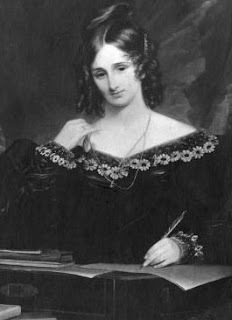 To pass the time during some truly miserable weather, in 1815 19 year old Mary Shelley wrote a book--and almost singlehandedly established science fiction as a genre of popular literature. Since the early 19th century, science fiction has come a long way--and today, National Science Fiction Day, we celebrate it in its manifold and evolving forms. Here are a few titles you may have missed, including a few relatively recent releases. Teenaged soldier Noemi and an enemy robot, Abel, whose advanced programming has begun to evolve, set out on an interstellar quest to save her home planet, Earth colony Genesis. Noemi and Abel are enemies in an interstellar war, forced by chance to work together. Their efforts would end the fighting for good, but as time goes by the stakes turn out to be even higher than they imagined, and the more time they spend together, the more they're forced to question everything they've been taught was true. The year is 2575, and two rival megacorporations are at war over a tiny, icy planet at the edge of the universe. With enemy fire raining down on them, Kady and Ezra—who are barely even talking to each other—are forced to fight their way onto an evacuating fleet, with an enemy warship in hot pursuit. When unattended environmental and economic crises lead to social chaos, not even gated communities are safe. In a night of fire and death, Lauren Olamina, an empath and the daughter of a minister, loses her family and home and ventures out into the unprotected American landscape. But what begins as a flight for survival soon leads to something much more: a startling vision of human destiny...and the birth of a new faith, as Lauren becomes a prophet carrying the hope of a new world and the revolutionary concept of "Earthseed." A young woman has just one chance to secure the status she craves and regain priceless lost artifacts prized by her people. She must free their thief from a prison planet, from which no one has ever returned. Ingray and her charge will return to her home world to find their planet in political turmoil, at the heart of an escalating interstellar conflict. Together, they must make a new plan to salvage Ingray's future, her family, and her world, before they are lost to her for good. In a world with no hunger, no disease, no war, no misery (humanity has conquered all those things, and has even conquered death), Scythes are the only ones who can end life—and it is mandated that they do so, in order to keep population size under control. Citra and Rowan are shortlisted to apprentice to a scythe, to master the “art” of "gleaning," or taking, life. However, only one will be chosen as a scythe's apprentice, and the ordained apprentice's first task will be to kill the other--unless, of course, the two of them decide to reject the rules of the game and take on the whole of Scythedom, changing it from within. Not quite what you're looking for? Browse our wide selection of eBooks and eAudiobooks here and search our catalog, to catch up on sci-fi classics (Asimov, Bradbury, etc. ), or discover more new reads! 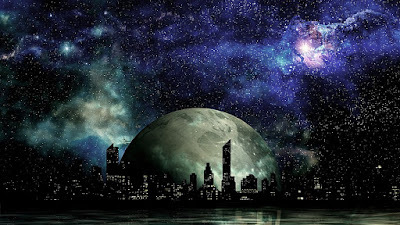 Want to recommend a sci fi favorite? Leave a comment!